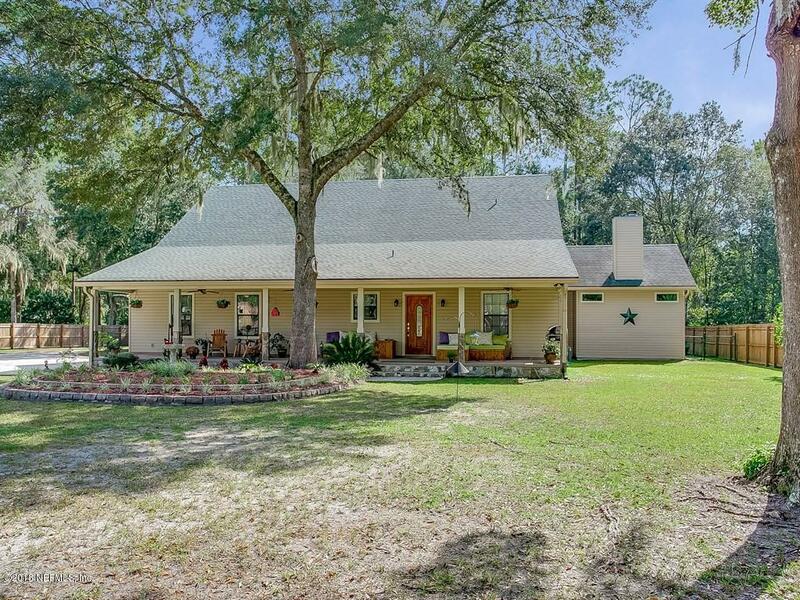 Southern charm on park-like 1.37 acres, in desirable NW St. Johns County! This home offers well-flowing space, featuring a split-bedroom plan with master bedroom plus two spacious bedrooms downstairs, and large upstairs bonus room/bedroom with bathroom. Recently-renovated kitchen (2016) features new GE slate appliances, granite counters, prep island with butcher-block top. Lodge-style family room with cedar tongue-and-grove vaulted ceilings plus picturesque stone fireplace. Master bath offers separate vanities and closets, and Jacuzzi tub with sep shower) 3 inside fireplaces (living room, family room, master BR). 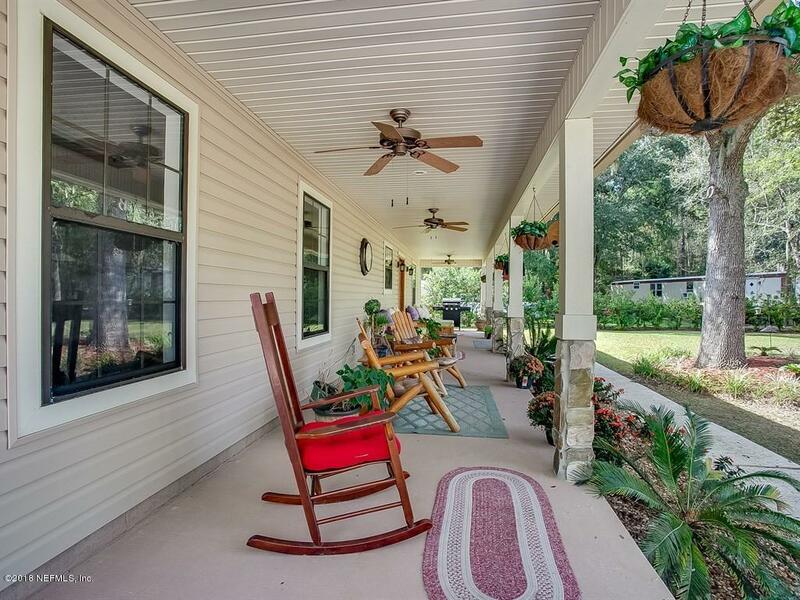 Enjoy this beautiful property from the front porch (along entire front of house! ), screened porch, gazebo with hot tub and bar area, or decorative back patio with fireplaceOversized attached 2-car garage, PLUS 896 SF (heated and cooled) detached apartment (with kitchen and bathroom) and workshop (with 220-amp svc., 9' roll-up door, and hookups for an RV). Low maintenance features include vinyl siding, gutters, and termite bond. 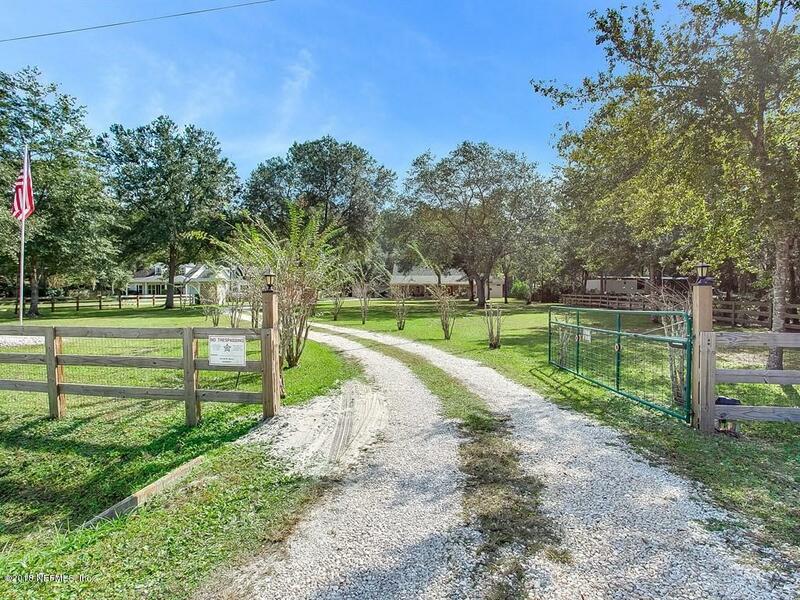 Fully-fenced property and electronic driveway gate. 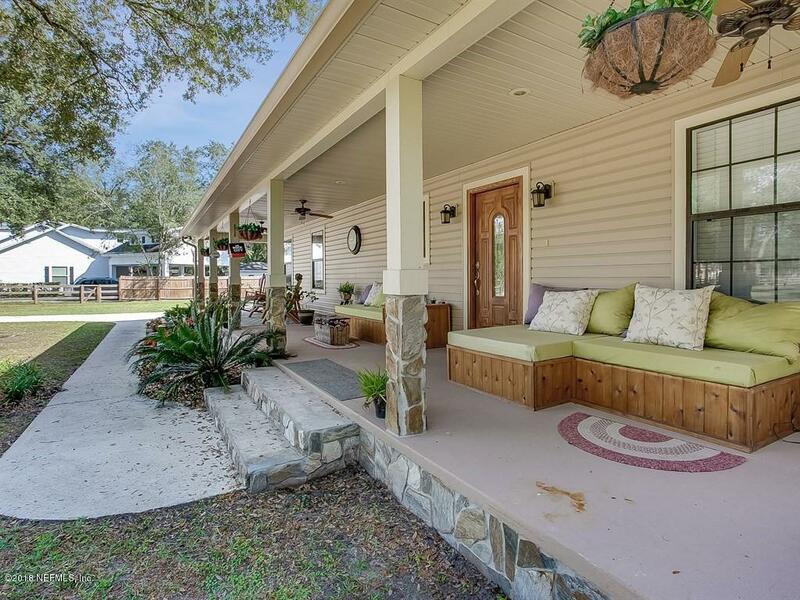 This original-owner home has been well cared for, with recent renovations and upgrades.